circa 1960, bright and loud! 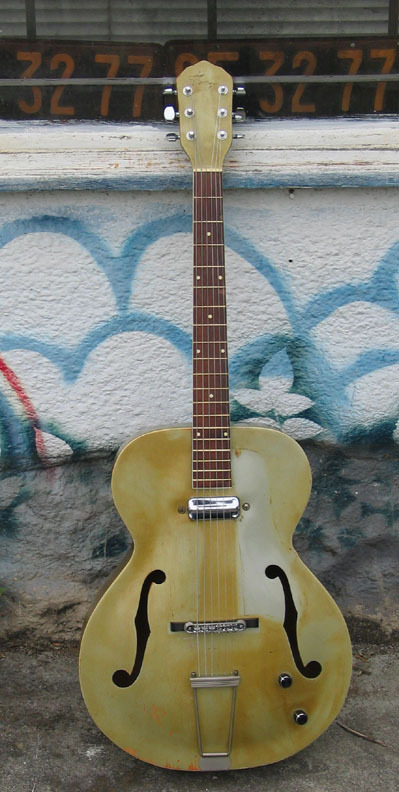 with Schaller humbuckings and Bigsby tailpiece -- for extra wankability. 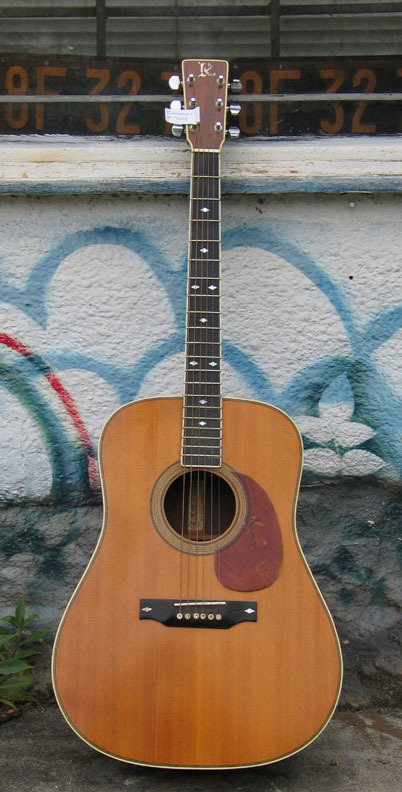 circa 1970 handmade, 30s, herringbone, Martin, D-28 replica. We were lucky to come by a few of these over the years, and we're honored to have Steve Cropper get one from us. And he loves it! 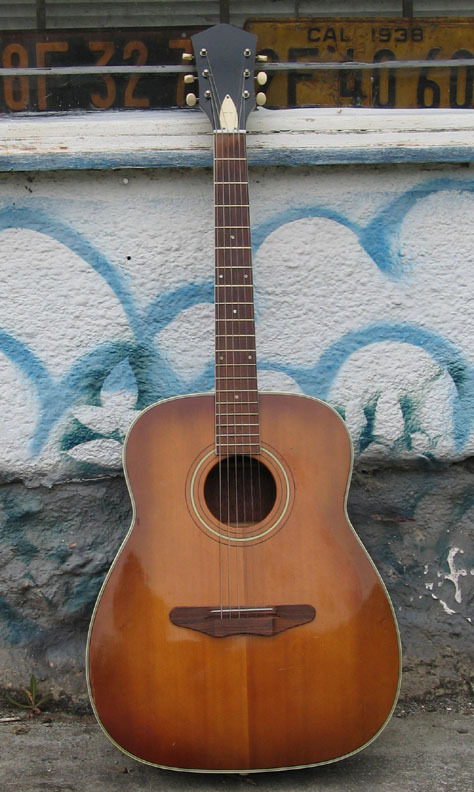 50s, Kaye (ES-125), owned by a reverend from the original Gospel Messengers. Plays great, has a rich, bluesy sound. 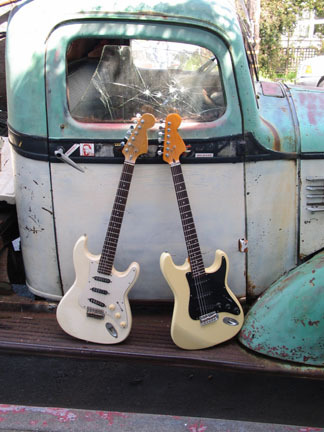 molded pickup cover into pickguard, for extra plastic. with lipsticks and series parallel and phaze reversal. 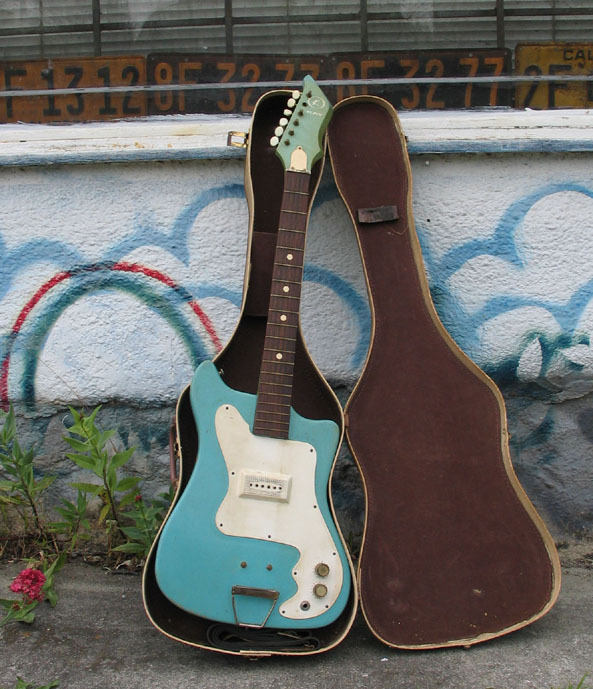 Similar to thinline tele. It really has great tone. 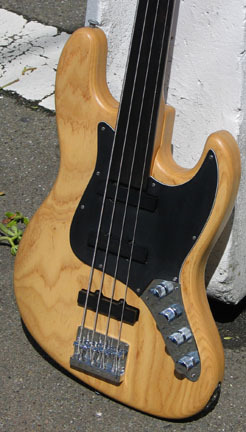 12-string, fretless oddity. 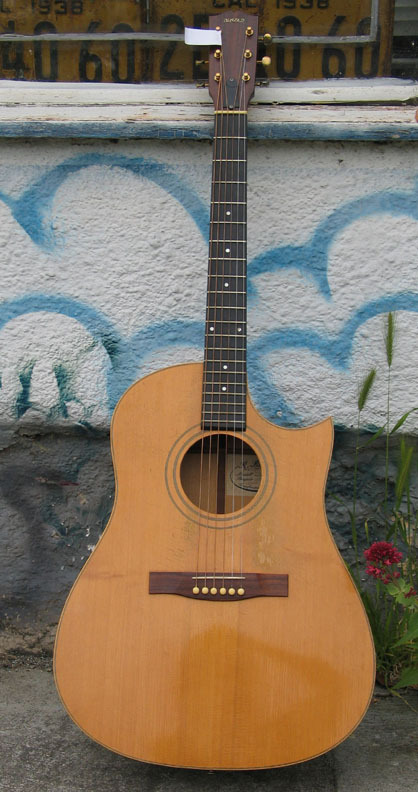 On one of my few trips to Istanbul, Iwent into the musical district where there were dozens of variations of this instrument. 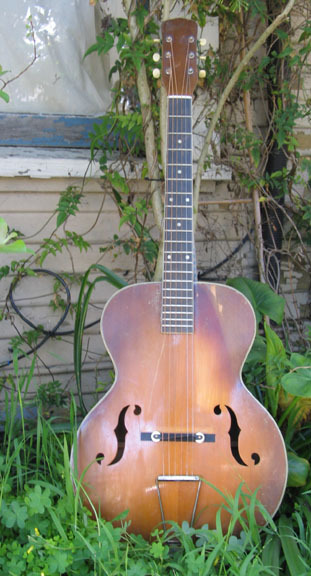 I bought a mandolin for travel reasons, but they had six-string, 12-string guitars, bouzikuke and saaz permutations. 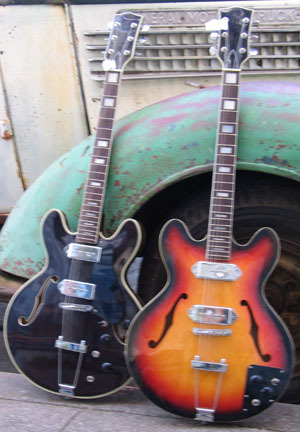 the archtop Ibanez (left) is $500 and the generic, flatop Special (right) is $400. 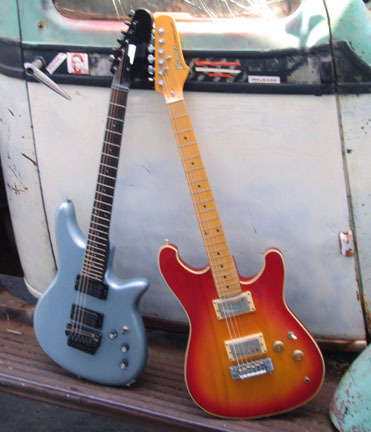 Both have set necks. 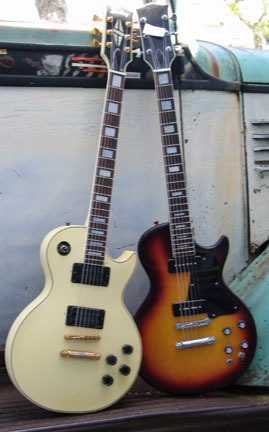 The les paul Special has a big, fat 50's neck. 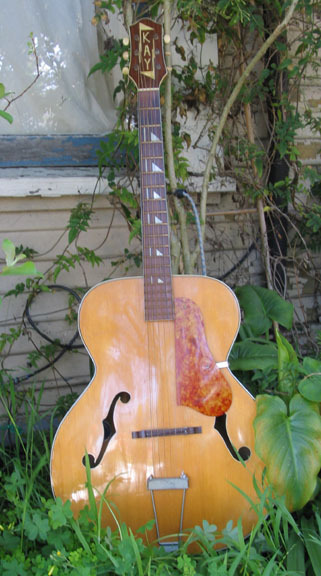 The Ibanez finish has been thrashed -- but everything else is great. This is the stuff we're making at the Ranch. 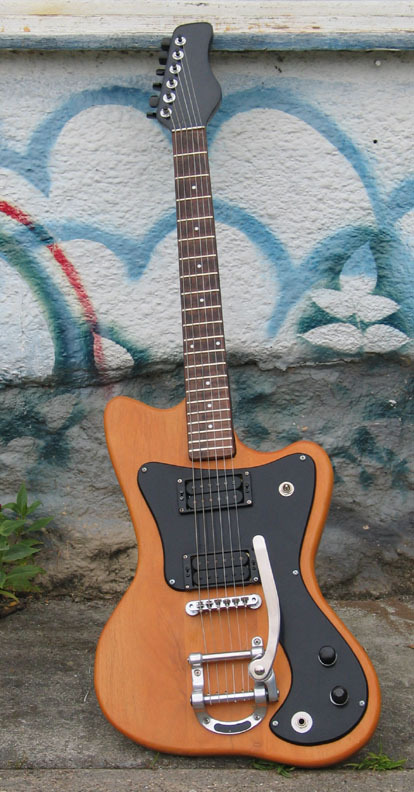 German carved perimeter -- like Moserite -- opaque white Rickenbacker-ish pickguard. 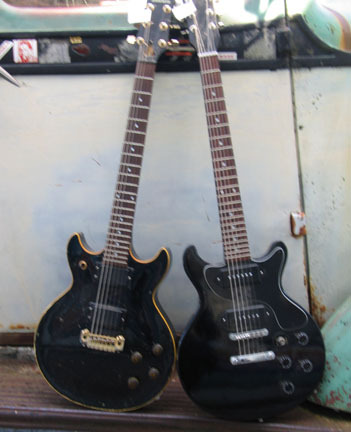 New-old stock '64 neck. 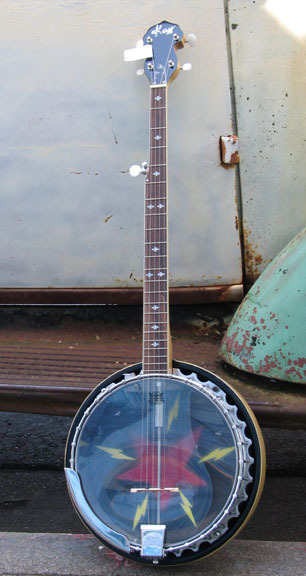 Wide and thick, with Brazilian rosewood fretboard and Gibson jumbo fretwire. Of course, Subway custom wiring with series parallel and phaze reversal. 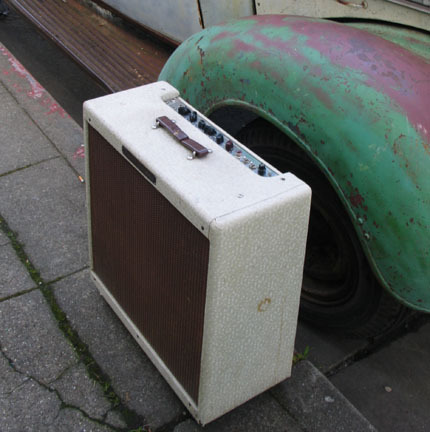 We've made alot of these over the years, for people like Mark Knofler and Robert Cray Band. 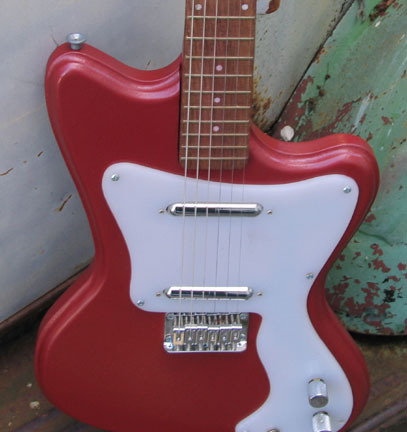 In our shop this is known as the Mark Knofler model. $$400 -- and its a deal at that. 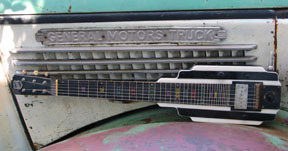 National lapsteel and a 36 GMC pickup hood. 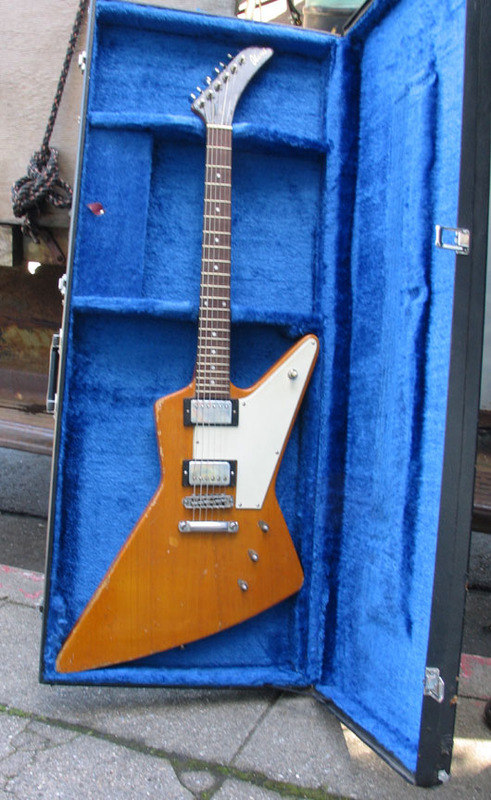 a rockin' Holy Grail -- before Eddie van Halen had any sense, he played one of these. Made in Japan circa 1978. E-mail FatDog if you're out of the country. It is best to call for a speedy response.